Abstract: Philosophical Reflections on Neuroscience and Education explores conceptual and normative questions about the recent programme which aims to underpin education with neuroscientific principles. 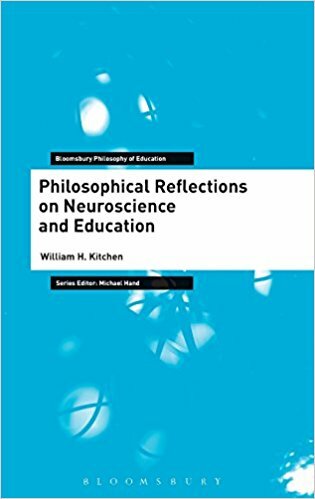 By invoking philosophical ideas such as Bennett and Hacker's mereological fallacy, Wittgenstein's the first-person/third-person asymmetry principle and the notion of irreducible/constitutive uncertainty, William H. Kitchen offers a critique of the whole-sale adoption of neuroscience to education. He explores and reviews the role that neuroscience has started to play in educational policy and practice, and whether or not such a role is founded in coherent conceptual reasoning. Kitchen critically analyses the role which neuroscience can possibly play within educational discussions, and offers paradigmatic examples of how neuroscientific approaches have already found their way into educational practice and policy documents. By invoking the philosophical work primarily of Wittgenstein, he argues against the surge of neuroscientism within educational discourse and offers to clarify and elucidate core concepts in this area which are often misunderstood.